Black Terror mask is hand made and painted. 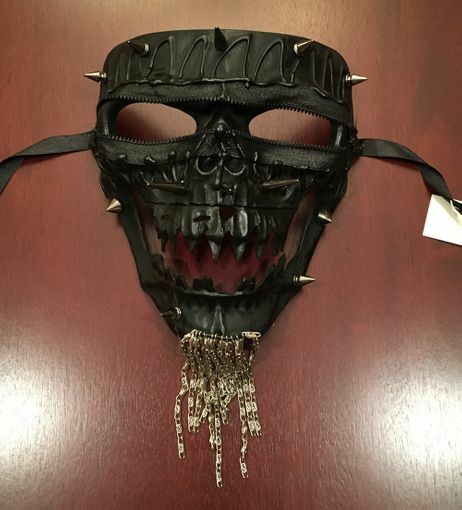 Mask is accented with metal spikes,chains, and zipper around the eyes. Mask is made of a non bendable PVC and comes with black ribbon ties.